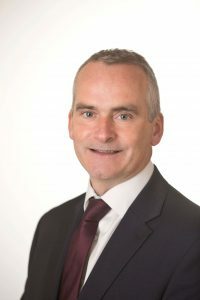 On 7th September 2015, Chris Conway took up the position of Group Chief Executive of the Northern Ireland Transport Holding Company and its operating subsidiaries (Translink). He has extensive international business experience with Tata Steel Europe where he worked as Managing Director Tata Steel Distribution Ireland and previously as Vice President Operations for Nortel Networks in Europe. During his career with Nortel Networks Chris worked in International Marketing, Customer Service, Supply Chain and Manufacturing. He also worked on market development projects in China and Brazil. Chris graduated from the University of Ulster with a BSc in Engineering and also has an MBA from the University of Ulster. He is a Chartered Company Director and a Fellow of the Institute of Directors. Chris is Chairperson of NI-CO (Northern Ireland Co-operation Overseas) and a member of the Board of Trustees of Young Enterprise NI. He has also recently become a member of CBI Northern Ireland Council and Business in the Community Advisory Board. Chris is Chair of Business in the Community’s Environment Leadership Team.